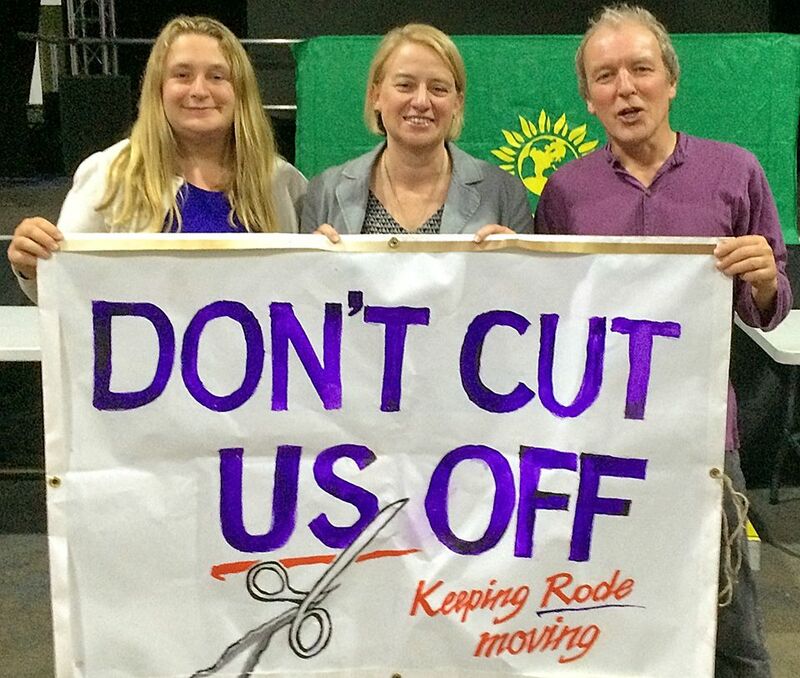 FAVBUG and the Don't Cut Us Off campaign were out in force at the Cheese and Grain in Frome last Tuesday, when Green Party leader Natalie Bennett came to speak about green issues, including the importance of reliable affordable public transport. We ran a stall to give out information about the cuts to bus services and collect signatures for the petition being sent to Somerset County Council. We had a lot of interest and many signatures! Here's Natalie and Frome's Green Party parliamentary candidate, Rode-born Theo Simon, with Lucy Travis of FAVBUG and the Don't Cut Us Off Campaign in Rode. Please keep spreading the word about this campaign!